Local newspaper headlines on March 3, 1968 were worrying: “Unmet Grievances in Ghetto Threaten U.S. – Report Cites Fear of New Violence . . . D.C. Mayor Pledges to Keep Order.” The weather forecast called for a cold and windy day with a high temperature in the 30s, but amidst the gloom, there was a ray of light on G Street. Acting Organist-Choirmaster Garnell Copeland played the dedicatory recital of Epiphany’s new Aeolian-Skinner pipe organ, Opus 1485. 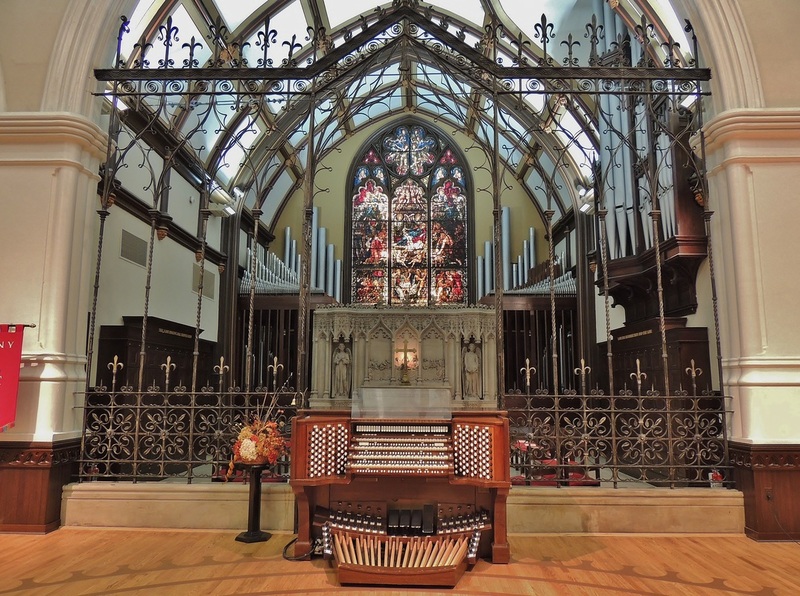 The Aeolian-Skinner Organ Company of Boston was the best known pipe organ builder of its day. It designed and built organs for a number of prestigious institutions – Harvard’s Memorial Chapel, Philadelphia’s Curtis Institute of Music, Washington National Cathedral and the Kennedy Center, to name but a few. The business had originally been formed in 1932 with the merger of the Aeolian Organ Co. of Westfield, NJ, and the Ernest M. Skinner Organ Company of Boston. Epiphany’s organ, installed in 1968, came towards the end of the company’s history. It closed finally in 1971 with the Kennedy Center’s organ its swan song. Since Epiphany’s founding, the church has had five organs. The first instrument, by an unknown builder, was installed in 1846, two years after the building was completed. A rather quaint budget item of the day, however, was the $30 a year set aside for boys to pump the organ bellows. Coinciding with renovations of the church, an organ built by Henry Erben was installed in 1859 and a third instrument, by the major builder of his day, E. & G.G. Hook, was placed in the rear balcony in 1874. This was rebuilt and moved to the chancel in the early 1890s and the present day chancel casework dates from this time. In 1911, the Ernest M. Skinner Organ Co. built an instrument incorporating pipes from both the Hook and Skinner instruments. Epiphany’s current organ is dedicated to the glory of God and in loving memory of Adolph Torovsky, Organist-Choirmaster here for almost 50 years. The inaugural recital in March 1968 followed the dedication which had occurred a week earlier, during the Sunday morning liturgy on February 25. When first installed, Epiphany’s organ included 50 ranks and 2,761 pipes, but with additions over the last 40 years, the instrument today comprises 64 ranks and nearly 3,500 pipes. Pipework existing from previous organs at Epiphany includes the 8' Bourdon in the Swell from the 1874 Hook and the 8' Spitzflöte from the 1911 E. M. Skinner organs. Also from the 1911 E. M. Skinner are the twelve lowest wooden pipes of the Ophicleide in the Solo. The Tuba, French Horn and English Horn were originally part of a large E. M. Skinner organ built for the Beacon Hill residence of the late Mr. & Mrs. Edwin Farnham Greene, an instrument often played by Virgil Fox on his visits to Boston. 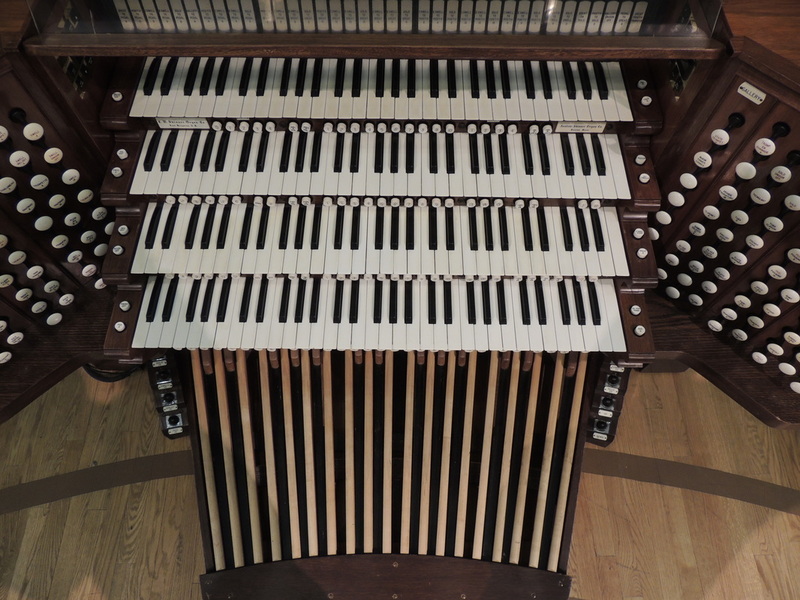 The recent restoration of Epiphany’s organ by the Di Gennaro-Hart Organ Company has included much needed repair and re-leathering to the 40-year old instrument. Included in the work was a new control/relay system and the addition of a second set of (south facing) solo shades. However, this work forms the first phase of a longer-term plan which will hopefully, as funds allow, complete the instrument and restore its console. In a Washington Star review of the 1968 dedicatory recital, critic Lawrence Sears suggested that: “Musical pilgrims to Washington will now want to include a visit to Epiphany Church on downtown G Street to see and hear its stunning new Aeolian-Skinner pipe organ.” Forty years later, Epiphany’s organ continues to inspire all who enter this holy space. May it long assist us in lifting our voices in praise to God.